Feelings of discomfort and pain in the lower back area are a leading cause of missed workdays – with up to 80 per cent of all adults suffering from some type of spinal discomfort during their lifetime. The majority of these injuries are caused by problems with the muscles, ligaments, joints, and discs in and around the spinal area. While many of these ailments can be reduced or even avoided altogether through a combination of a healthy diet and an active lifestyle, the more serious conditions often require treatment using prescription medication, and sometimes even surgery. However, there are also several effective alternative treatments for those who suffer from back pain, which can complement or even replace such medical treatments. This treatment involves a therapist manually manipulating the patient’s muscles by hand. Muscle tension and strain can be a significant factor in contributing to lower back pain, especially if you are dealing with the quadratus lumborum (QL) and the gluteus medius muscles. Your therapist will focus on stretching and massaging the muscles which, in return, will help provide instant relief. They can also send you home with some daily stretches to perform to continue to help reduce the tension in the lower back. This ancient Chinese technique has been used to alleviate back pain, as well as a myriad of other health problems, for more than 2,500 years. It involves inserting a series of long, thin needles into certain points of the body for up to 60 minutes at a time. According to practitioners of traditional Chinese medicine, the body contains approximately 2,000 of these points, which are connected by a system of meridians that allow energy, or “qi” (pronounced “chee”), to flow around the body. By inserting needles into these points, the flow of energy around the patient’s body is improved, resulting in decreased pain and an improvement in overall health. Modern practitioners believe that the needles help to stimulate the central nervous system, leading to a release of natural chemicals which relieve pain and enhance the overall well-being of the patient. Regardless of how it actually works, several studies have shown that acupuncture does indeed provide effective relief from long-term back pain. The general health benefits of Yoga and Pilates have been well known for some time, so it is no great surprise that it can be used to combat the symptoms and root causes of back pain. From a physical standpoint, the stretching and strengthening poses help to strengthen muscles in the back and the abdomen, and increases blood flow to areas of concern. These muscles are used to ensure that the body maintains correct posture and, when they are strong, back pain can be reduced considerably. In some cases, it can even be avoided altogether. In addition to its physical benefits, Pilates and Yoga can also improve the mental well-being of those who have to endure chronic back problems. Yoga involves a considerable amount of meditation and breathing techniques to promote relaxation; these can help to reduce anxiety and depression, as well as sleep problems, which often coincide with long-term back problems. Onsite in Loganholme, Wellwood Health can offer clients a mixture of Massage, Acupuncture, Yoga and Pilates. 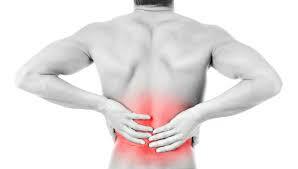 If you are suffering from lower back pain, please contact us to discuss some treatment options. Pilates Instructor, Nutritionist, Wife of a Cowley, fur baby mumma of 3. Owner of Wellwood Health.